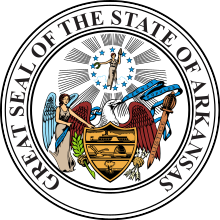 The jurisdiction of the Arkansas Court of Appeals is determined by the Arkansas Supreme Court. There is no right of appeal from the Arkansas Court of Appeals to the Arkansas Supreme Court. However, opinions decided by the court may be reviewed by the Arkansas Supreme Court under three circumstances: on application by a party to the appeal, upon certification of the Arkansas Court of Appeals, or if the Arkansas Supreme Court decides the case is one that should have originally been assigned to it. The Arkansas Court of Appeals issues a large number of opinions, but does not publish all of them. Instead, only those opinions that "resolve novel or unusual questions" are released for publication by the state's Reporter of Decisions.